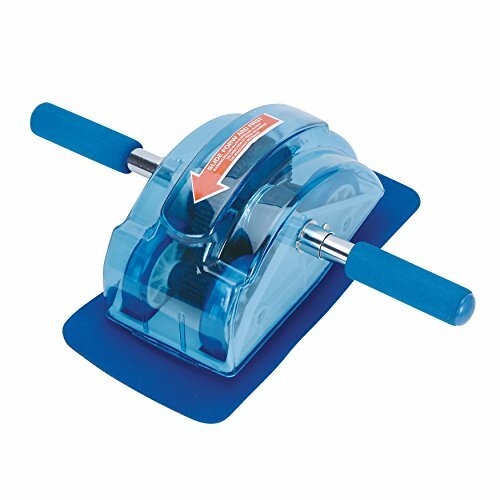 Ab rollers are fantastic for toning all the major muscle groups of the upper body in less time, and with more ease. Unlike large and clunky ab-strengthening devices, an ab roller is incredibly compact and easy to move anywhere in the house where you want to get a great workout. By simply putting yourself in the push-up position, and gently rolling the device out and then back, you’re forcing your muscles to adjust to the change in movement, and because of this they are encouraged to tone and firm while supporting your body. It’s a very safe motion that will not cause injury or physical problems. When looking for the right ab roller for you, it’s best to spend a little extra money on a high-quality design. It can be easy for this equipment to break, and that’s why you want one made of the highest quality materials. Non-skid wheels are a great added bonus, as well as ergonomic hand grips that allow you to have a nice, firm hold on the roller throughout your exercise. The Perfect Ab-Carver is designed to do just what it says: carve your abs to sculpted perfection. And it’s not only great for the stomach, but it also tones the arms and back at the same time. The carbon steel spring is what really supercharges your ab and arm workout. Rolling out and back on the Ab Carver creates tremendous resistance that works all the major muscle groups of the upper body, giving you that sculpted look without having to go to the gym. The super wide tread allows you amazing stability when you’re carving to the right and left, and the ergonomically designed hand grips have the perfect angle to activate your core muscles. The Carver provides a wonderful workout for those who are beginners all the way through advanced. Designed for all fitness levels, it also comes with a 21-day plan to help you to get into the best shape of your life. The Sunny Health and Fitness Roller Slide is a remarkable and convenient way to get sculpted abs and arms right in the comfort of your home. By putting yourself in the push-up position, and rolling the slider out and back, you’re able to activate your core muscles and get an amazing workout in less time. Most users agree that this device really works to create that toned look that we all desire. It’s lightweight and easy to carry to different places in the house. You can conveniently use the Roller Slider in front of a TV, in your bedroom, in the yard, or anywhere that you choose to have a great workout. The design makes it easy to use, and provides slimming, toning and firming effects for the entire upper body. This also just happens to be one of the more affordable ab rollers on the market, so you’re getting all the same performance for less of the price. 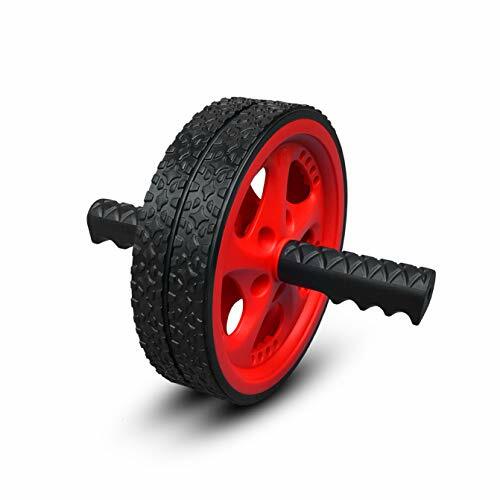 With its non-skid wheels and easy-grip handles, this ab wheel from Valeo is a wonderful way to tone the shoulders, arms, waist, and back in less time than it takes at the gym. By getting on all fours, gripping the handles and gently gliding the wheels back and forth on the floor, you’re able to get an amazing workout that will show results fast. The ab wheel also comes with an instructional fitness guide with great tips about your diet and overall health. Valeo has been known throughout the years for creating some top-notch and dependable fitness products. Their fame started in 1988 when they introduced their original Classic Belt to the market, and the wide range of wellness products they’ve produced since then have only increased their notoriety. 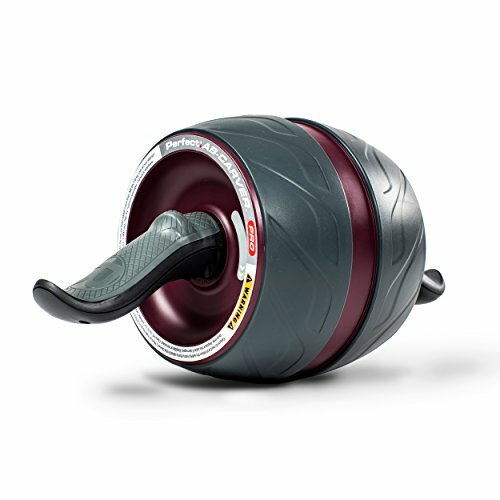 What makes the design of this ab wheel unique is the 2 non-skid wheels that add more stability than other ab rollers have. It’s easy to assemble and simple to use.